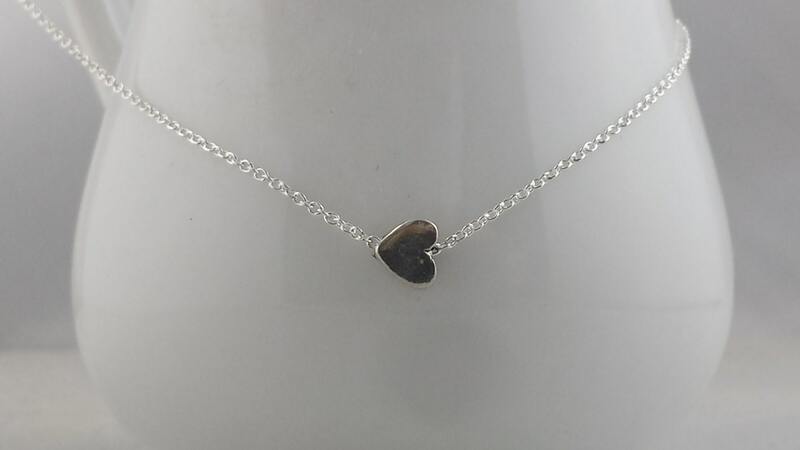 Why wear your heart on your sleeve when you can wear it on your neck! 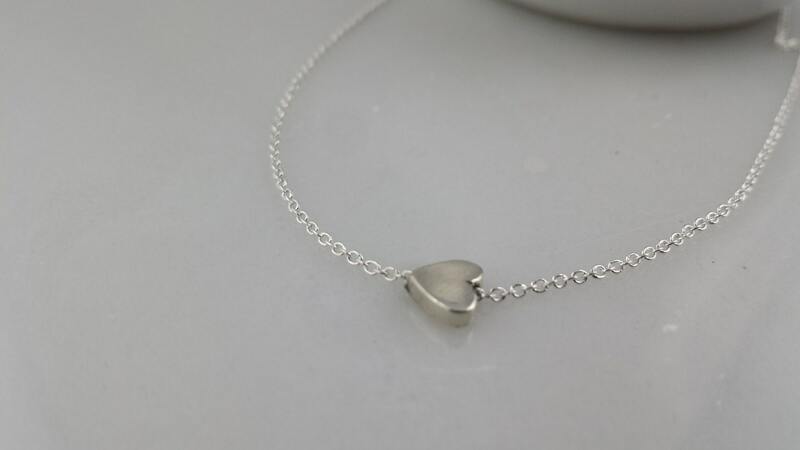 A tiny classic sterling silver heart gets a modern twist by turning it on it's side . 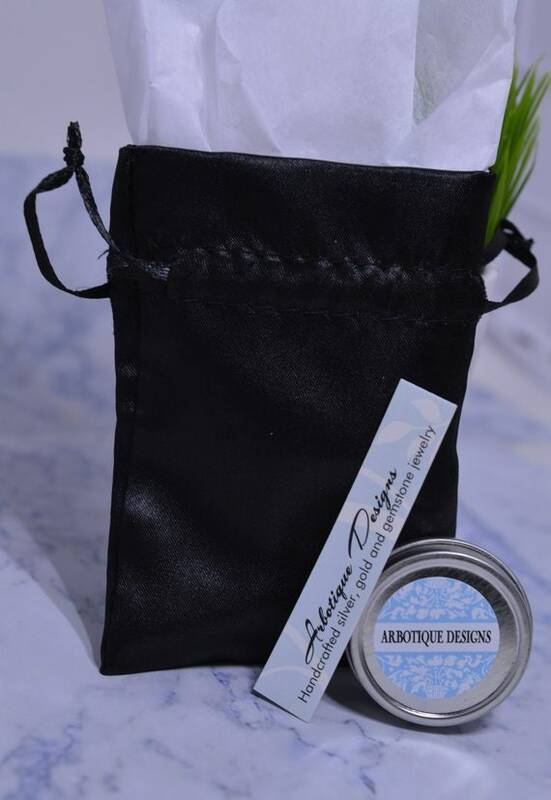 This adorable, whimsical necklace is so simple, it's perfect to wear every day either all alone or layered with other pieces. 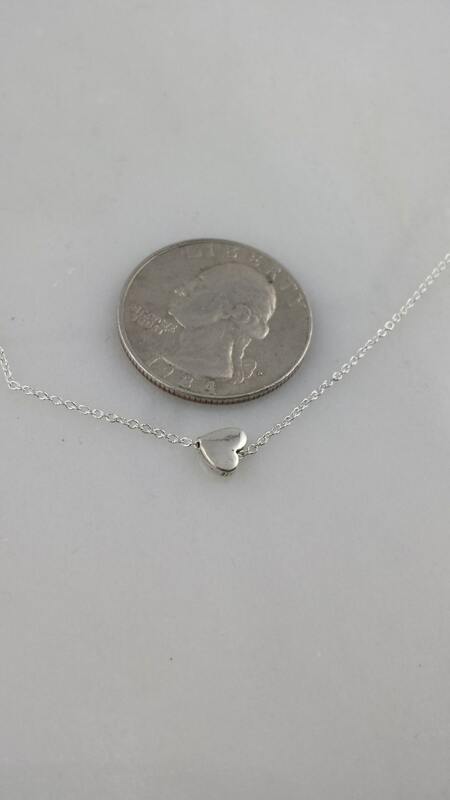 Small heart is about 6mm and necklace is available in sizes 14-22 inches. ***Please note that some countries charge extra customs charges for international packages. These will be charged by the mail system and are the responsibility of the buyer. There is no way to tell upon purchase whether or not you will be charged or how much the charges may be.